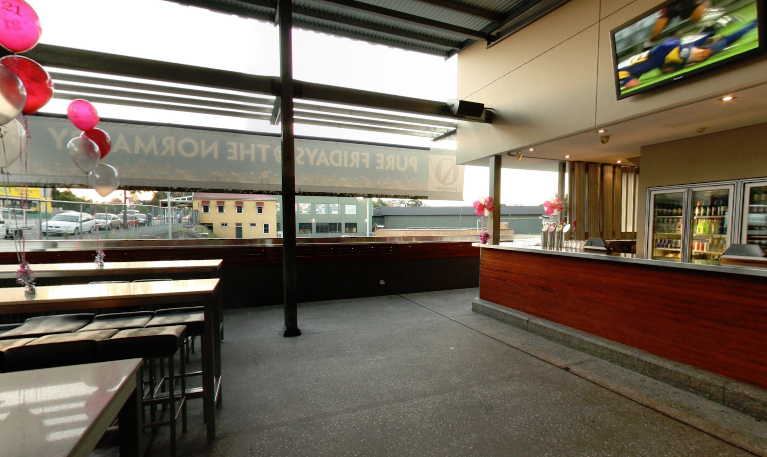 Located in the north-west corner of the Normanby Hotel and facing Musgrave Road, the Pario Bar is one of the best outdoor function spaces in Brisbane. The area is a good size with capacity for 150 guests, and is fully enclosed to make it an all weather function venue. Features include a large private bar, plasma screen and presentation facilities including data projector and screen, USB plug in and microphone. Guests have the use of a free venue car park, and there are a variety of food and beverage packages, with finger food platters starting from $39. This function room is perfect during the warmer months and is a fully private space.